A coffee table is always the center of living room decoration and that is why it is the center of attention of every homey person too. People are just more and worried to have a stylish, gorgeous and up to date coffee table in their living area. But when you are to make a coffee table of your own you can decide the design, style and shape you have ever desired. 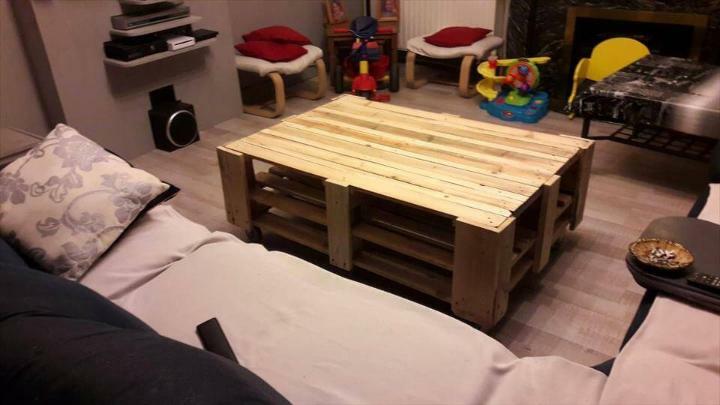 And for an instant imagination boost up we have this DIY pallet coffee table on wheels for you made from the cost free pallets to rock your living room as a great center piece. First of all the pallets have been cut into the long pallet planks which have been packed tightly to each other to from the top and the two layers of shelves under it. With the same cut out pieces the leggy support has been built ending up with wheels for a chic and industrial look. The top is for serving tea, coffee, drinks and snacks while the built in shelves for magazine and book storage. 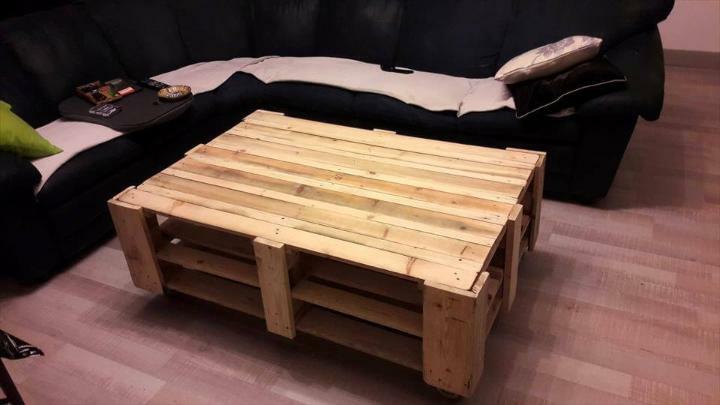 If you are looking for a cheap yet acutely stylish and trendy kind of coffee table then this coffee table on wheels in the end of your search. 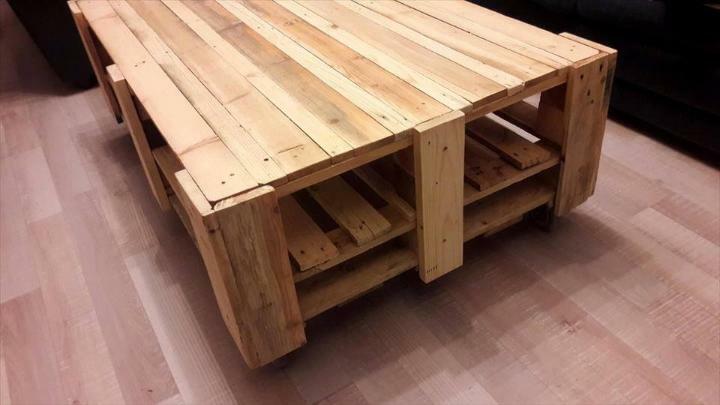 Using the pallet cut slats and the planks the whole structure of the coffee table with three shelf layers and the legs have been built. 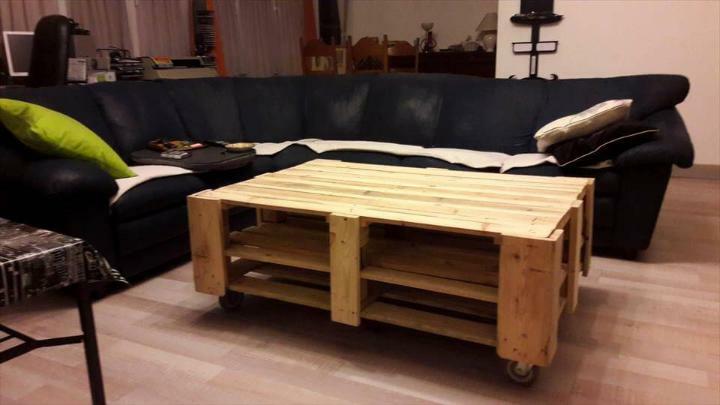 lastly the coffee table has been set on wheels to make it look more a stylish and up to date and match the modern day decor. You can stain the coffee table in the desired hues to make it look more tempting and more matching with your living room decor.